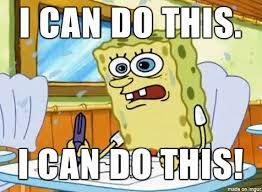 The first semester of your senior year will probably be the most stressful semester of your life! College Applications are due, scholarships are due, letters of recommendations are floating around and you probably have no idea how to handle it all. On top of all that, you probably have a few tests here, multiple essays there, and homework everywhere. Chaos and confusion become your best friends and you want to just take a nap. Don’t let senioritis take over your life! Here are a few resources and tips for College Admissions organization. First, it is not free; get a FEE waiver if possible! What most students do not know is that you must pay to send your ACT/SAT scores, pay to apply to a college, and pay to send out the CSS Profile. I’m not made of money and I’m pretty sure you aren’t either, but what does it cost to stop in at guidance and ask about fee waivers? Now, that’s free. Not really feeling going into guidance? 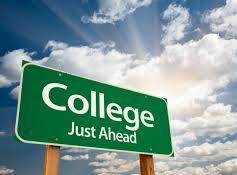 Just check out fee waivers via the College Board or log into your college website and look. Next, your college essay is yours! No one wants to read about your Uncle Bob and his cats. College essays have different topics to choose from and are essential to your college portfolio. A LOT of schools are on the Common App Wave. Although the word limit is 650, it should be about you. Do not be afraid to tell the colleges about your struggles and triumphs because that sets you apart from other applicants. SUPPLEMENTAL ESSAYS ARE REAL! A supplemental essay is a brief response to questions specific to your college. Some schools require it but others do not. Connect your Naviance to the Common App in order to send Letters of Recommendation requests to your teachers. Naviance may have seemed unnecessary freshman year, but it is a part of the college admissions process and can actually help you narrow down your college choices. Lastly, there is no late grade when it comes to due dates. Early decision is due November 1, 2017. Regular Decision, through Common APP, is due January 1st, 2018. SOME COLLEGES HAVE THEIR OWN DATES! Scholarships are available through guidance and when they’re due, they’re due. No extensions, your dog cannot eat it, and you did not forget it in your locker. It’s your future! No one else can want to see you succeed more than yourself. Oh, and your essay for English is still due, you do have a Math TEST next week, and there may be a pop quiz in your future. An agenda can help you organize or just keep track of the dates in your calendar. Yes, GPAs lock after the second marking period, but no, that does not mean colleges do not get your full year transcript.